The fast-growing domain registration website in the UK and Europe, Names.co.uk brings you a galore of domain names at amazing prices. With Names.co.uk vouchers, you can have your dream domain at a price you never imagined to be possible. 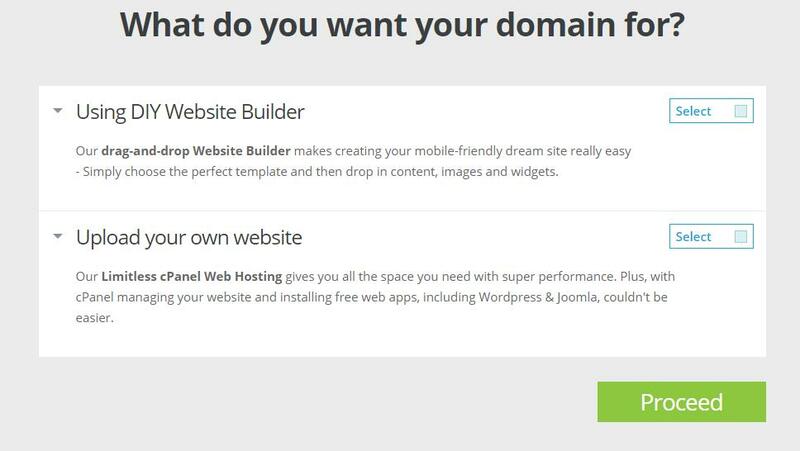 Not just domains, you can use their Website Builder and host your website. New and existing websites alike have latest tools and tens of applications at their disposal. They also have cutting-edge plans for Email Hosting and Website Security. So what are you waiting for? Use the latest valid vouchers on this page and get yourself the best domain or hosting plan at Names.co.uk. True BusinessID EV From GeoTrust Increase transaction conversion rates and protect your brand from phishing schemes with upto 256 bit encryption level. Shop GeoTrust True BusinessID SSL certificates online at Names.co.uk! And get $250k warranty with Upto 256 bit encryption level. Geo Trust Quick SSL Premium certificates are one of the quickest ways for you to start protecting online transactions and applications upto 24 hours with $100k warranty. Get your big idea off the ground and online with our Starter Web Hosting plan. How do I apply a voucher code? 1. If you are buying a domain, search for the domain you want. 2. Add the domain of your choice to the basket and click ‘Proceed’ to go to the basket. 3. Choose if you want to use your own website or use their free Website Builder tool to create a new website. 4. Now you can enter your voucher and apply it to your total. 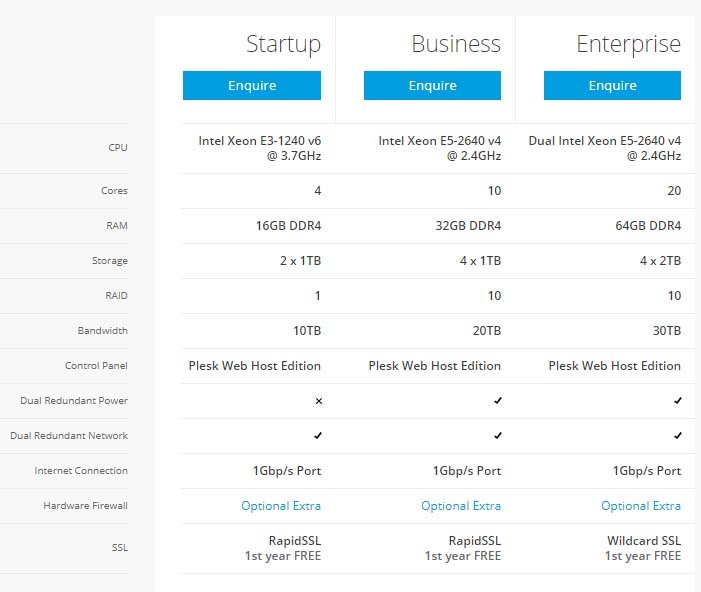 There are essentially two types of plans (shared and reseller) and then managed server options. The shared web hosting plans are best suited for new businesses. They are cheap, easy to manage, and you can upgrade when need be without any hassle. For businesses that need more resources, storage, and control, the managed server options are a better fit. In that, you can find solutions for VPS and dedicated server. 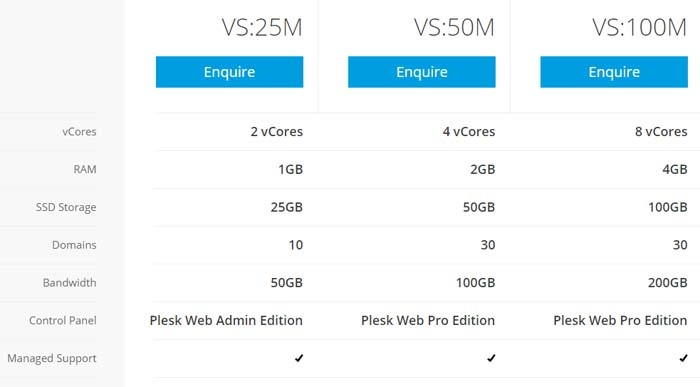 Both these types of servers provide guaranteed resources and lightning fast speeds. They also have dedicated servers for WordPress and Magneto that are fully optimized for these Content Management Systems. There are several plans under these different categories and ideally, you should choose one that meets your website’s profile and requirements. Your budget is an important factor too but with vouchers, you will probably end up paying lesser than the budget you decided on. What types of vouchers are released for Names.co.uk? You can use one code per purchase. Vouchers save you money on the entire term. For instance, if you are using a half-off voucher for a plan with a monthly rate of, say £7.50, you will make a saving of £3.75 for each month of the term (£45 for a year in this case). Names.co.uk is a domain provider in the UK that is part of the Dada Group. Collectively, the group has over 600,000 customers and has nearly 2 million domains registered. Names.co.uk is very popular among small as well as enterprise level businesses in Europe. Names.co.uk started out as a domain registration platform but today offers a variety of digital services for businesses. In addition to buying your domain, you can also host your website at Names.co.uk or buy website security and email hosting. All their products are designed to advance their client’s business and help them achieve more in the digital world. It was founded in 1996 and is headquartered in Worcester, UK. They have won numerous awards including Best Shared Hosting Provider. Names.co.uk provides its customers advanced tools to quickly search the domain they want. With dozens of extension choices, the possibilities are limitless. Plus, the prices are very low thanks to Names.co.uk vouchers. If you register a domain at Names.co.uk you can benefit from some free offers that come with your domain. You get free website builder, email, and stock images for your website. Using their advanced tools you can search for multiple domain names in one go. Names.co.uk makes it hassle-free for its customers to renew their domains. Not renewing your domain can be detrimental to your business and may even result in loss of domain. They provide an auto-renew option for free that ensures that your domain is renewed promptly. They also allow long renewals for some extensions such as .com and .co.uk. You can renew the domain for up to 10 years and relax. Registering for a long term can also save you more money as your discount will be applicable to the entire term. There are many reasons why you would want to transfer your domain to Names.co.uk. They provide an easy to use control panel for managing your domain. You get advanced DNS management tools, domain forwarding, and auto-renewals. On some extensions, you can get a free 1-year extension. You can choose between Linux or Windows OS. The shared web hosting plans at Names.co.uk are packed with features that deliver high performance. They have an average uptime of 99.9%. With every plan, you get a free domain, free email, unlimited bandwidth, and reliable customer support. The Professional plan is suited for fast-growing businesses. It costs £4.99 per month after discount. Premium is a scaled up version of the Professional plan and is suited for businesses with bigger data needs. 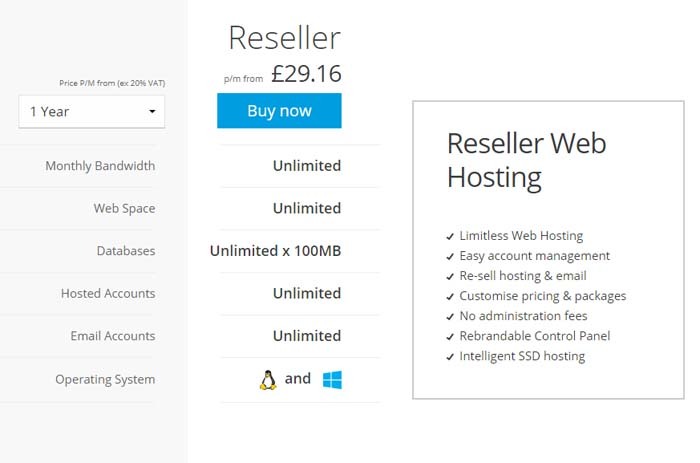 Names.co.uk provides a simple but profitable reseller web hosting plan at just £29.16 per month. It provides an easy to manage interface for you and your clients. You can customize packages and prices at your discretion. You get dual platform with Linux and Windows operating systems. The plan has intelligent SSD storage that provides high speed and adaptability. There are three plans under Managed Dedicated Servers: Startup, Business, and Enterprise. Prices are available on inquiring. These plans offer 100% SSD storage and lightning fast speeds. It is ideal for businesses with heavy traffic. They use Intel Xeon Processors and latest DDR4 RAMs. The control panel for this managed hosting is Plesk. If you are working with Magneto or WordPress you can opt for dedicated servers for these CMS. These plans offer advanced technology optimized for these platforms. As a result, your website gets lighting fast speeds and reliable performance. They use SSD storage providing faster data transfers. There are two plans for each and prices are available on inquiry. Names.co.uk provides reliable website security with its SSL certifications. They are compatible with all browsers and protect your data and visitors. Naturally, visitors trust your website and it also ranks well on Google. Their SSL certificates are from GeoTrust and have up to 256-bit encryption. QuickSSL: At £4.92 per month, the QuickSSL is great for a single website. It can be set up in just 24 hours. True BusinessID: With a discounted rate of £7.42 per month, this SSL certificate is designed for organizations. True BusinessID EV: At £16.58 per month, you can get an extended version of True BusinessID with lots of extra features like green address bar. Another product that can protect your website and information is SiteLock. 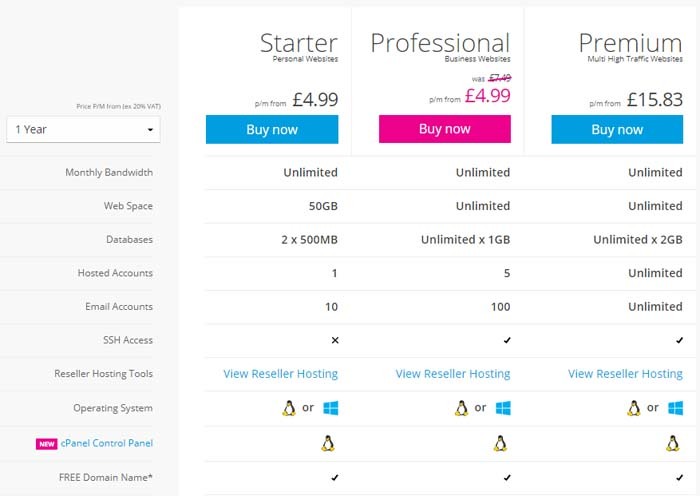 Names.co.uk offers affordable SiteLock plans for all types of websites. It can guard your website against hacker attacks which are becoming more and more common now. Stay protected from malware, identity theft, illegitimate content, etc. Starter: At just £2.29 per month you get the basic version of SiteLock. This includes Daily HTTP Malware Scan and Network Scan. It can cover 25 pages. Premium: At £3.96, you get extra features to make your website extra secure. This package comes with FTP and SFTP Malware scanning. It includes up to 500 pages. PremiumHTTPS: At £8.96, this package has all the Premium features and then some more. It offers daily Malware Scan via HTTPS. Names.co.uk also has your email needs covered with its fantastic and affordable email hosting plans. You get unlimited addresses, calendar, and tasks lists. It secures your professional email and allows access on the go. Starter: The Starter plan starts at £2.99 per month. This includes 5 GB mailbox and unlimited email addresses. Professional: The Professional plan at £4.49 per month is one step ahead and features 15 GB Mailbox size. Exchange: This plan is just £5.59 per month and brings you 50 GB archive storage in addition to 50 GB mailbox storage. It also features Calendar and Contact Sync. All plans can be signed up for 1 year or 2 years term.